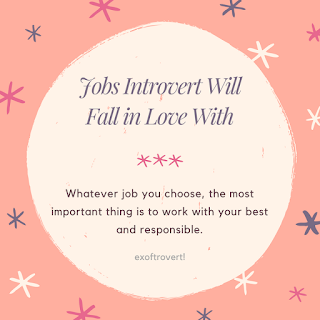 Jobs Introvert Will Fall in Love With - Introvert is the nature of someone who tends to be quiet, aloof and lacking in interacting with the outside environment. Someone who introverts prefer to do things on their own. When given time to do something then they will finish it well without much help from others. 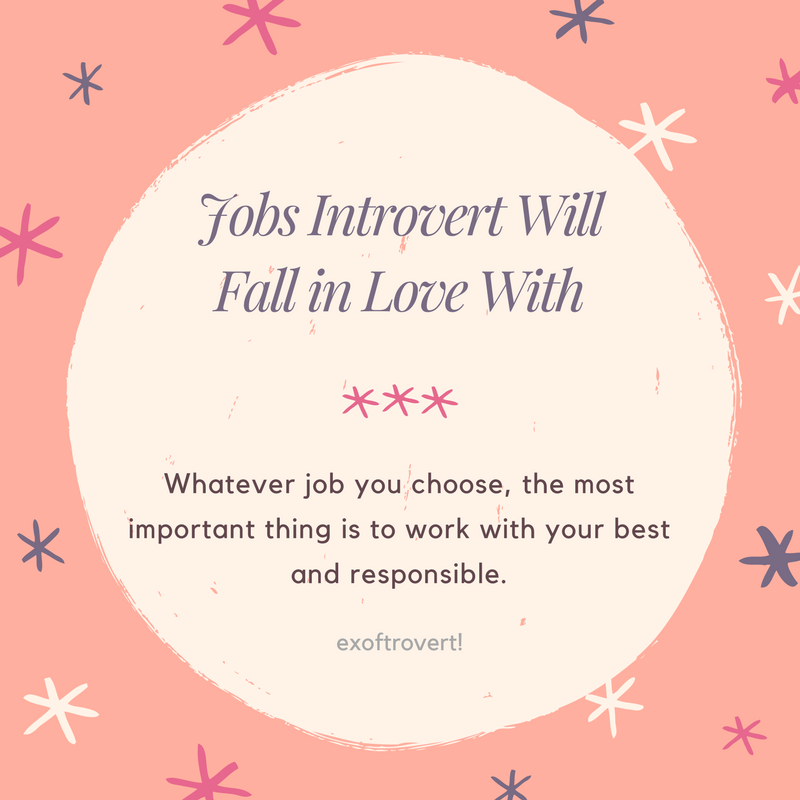 Some of these jobs are perfect for those who are introverted. Computers or laptops would be a true friend for a programmer. They work happily with them. Programmers, when they are busy with computers, can forget about others or the environment, but the results of their work cannot be doubted. An introvert fits work as a programmer. And I do believe it’s true since I’d love to spend my time whole day in front of the laptop to write anything I can share. Usually, graphic designers are also busy with their drawing devices such as stationery, computers or laptops. They need a quiet atmosphere without many people in order to produce a picture. Their interactions with others become few. It is not surprising that an introvert can take this job. And this is one of a kind that needs that thing; imagination which is absolutely Introvert good at it. A translator will be more comfortable if working alone. Translating something would require a high concentration without the interference of many people. The introvert would also fit this job. It’s quite nice to learn another language, I think introvert will agree. So, if you’re good at languages, it’s perfect for you to be a translator. A driver must work alone. It is more convenient to work without being disturbed by so many people that he can concentrate on driving a vehicle. You introvert also match this job. Or, if you’re like me who try to be open-introvert, you can enjoy a little conversation with a lot of new people while driving. Accountants usually perform financial analysis and reporting which of course is related to the numbers. They will be busy themselves with so many financial data and do not require the intervention of many people. So an introvert is perfect to work as an accountant. An admin also usually works alone. Taking care of all sorts of administration is better for them than it has to be done by many people. The introvert must fit this job. Writing is usually done in a quiet place, not many people in it. This is of course in order to concentrate on getting inspiration writing. So a writer does not need many people to finish writing. The introvert fits perfectly with the writer's profession. An editor is also used to working alone. Editing jobs are better if the focus is done on its own so that the results are satisfactory. And oh, an introvert will very love this job since they will be able to read a lot of scripts and book they're working on it. The painting also usually requires a calm and relaxed atmosphere for the inspiration of painting can soon appear. You who do not like to interact with many people can choose this profession. Whatever job you choose, the most important thing is to work with your best and responsible.